Dalston Superstore is thrilled to announce something a little different… yoga classes for the LGBT+ community in the basement! Tommy Hibbitts Yoga is bringing all sorts of love and energy to the basement of Dalston Superstore for some much needed soul reconnection through the art of yoga! We caught up with Tommy to find out what he has in store for us! Hi Tommy! We can’t wait to do a bit of yoga with you! Can you tell us a bit about yourself? I can’t wait to start teaching yoga with you guys! The support so far has been incredible and it is all thanks to the platform you’ve given me! I’m a recent journalism graduate and I’ve lived in London for four years now. I love travelling and exploring different cultures and communities and understanding the weird and wonderful ways we humans work. How long have you been practising, and when did you decide to become a teacher? I’ve been practicing yoga for around two years but it wasn’t until the end of last year I really started dedicated myself to the art. I increased my practice to almost daily and would attend regular classes. My love for yoga grew with every practice and once you start noticing all the wonderful benefits, it’s hard to give up. I decided that once I finished university I would fly over to Rishikesh, known worldwide as the ‘home of yoga’ and gain my teaching qualification there. What are your goals as an instructor? As an instructor I want all my students to see the beauty that can come from regular, dedicated practice and the increase in the level of awareness you find with your body. I hope they’ll enjoy the flow I create with my sequences and that they really awaken the connection between their mind and their body through a series of yoga techniques, and the practice itself. I’m obsessed with the freedom I feel it gives both my mind and my body. If I’m ever feeling an emotion that I’m not particularly happy with, such as frustration, I’ll go off and do some self-practice and it really allows me to take everything in and relieve. I also love the gratification I feel once I’ve been practicing poses that have been difficult in the past and I get to places I’ve never reached before. It’s such a rewarding experience. Why did you decide on Superstore as a venue for your classes? Dalston Superstore is a venue that encourages acceptance of everyone and is also a pioneering venue within our community. I was hoping you guys would team up to create some thing for our community that was a little different and allows people to explore places they may not have before. I thought an LGBT+ focused yoga class would be a fantastic way to bring our community together and I’m so happy you thought so too! Do you play music in your classes? What can we expect to hear? I’ll be playing a mixture of chilled out progressive psychedelic music. It’ll be relaxing but also highly motivating – something that can be needed when putting yourself through an intense class. What advice would you have for beginners who are a bit nervous about starting out? For beginners I would say just relax, listen to your body and the gentle instructions. I want you to enjoy yourself as well as push yourself and focus on your own goals. Remember that everyone was a beginner at one point and you’ll always get there in the end! 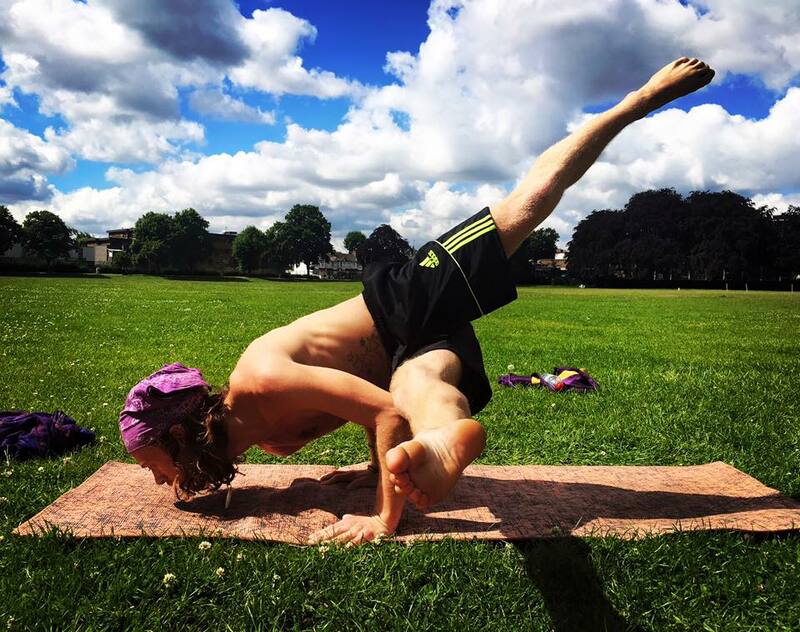 Catch Tommy’s first LGBT+ yoga session on Thursday 28 July from 6pm at Dalston Superstore!